We’ve seen the athleisure trend for a few years now and it doesn’t appear to be going anywhere. Athleisure is all about sporty meets function. It’s about the perfect combination of workout clothes paired with your favourite casual pieces and wearing them outside of the gym. We’ve found that a pair of pocket leggings are the perfect building block for a winter athleisure look. 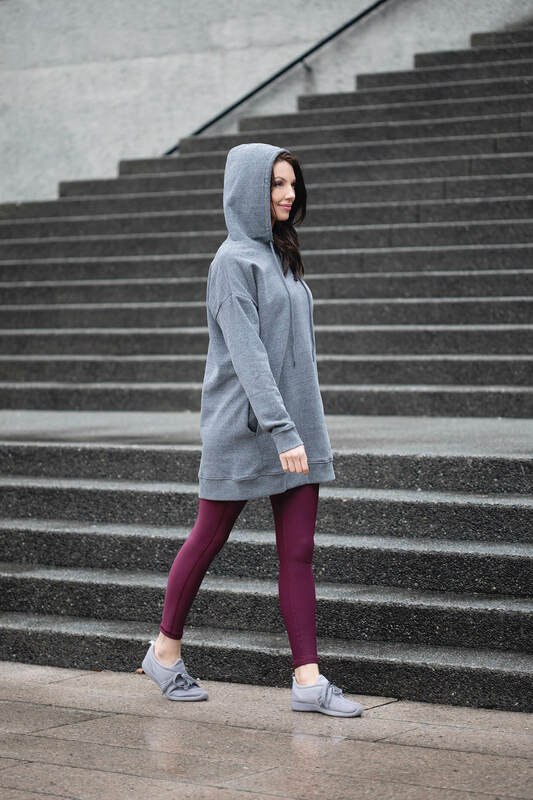 Get the Look: Julia is wearing the Altitude Fleece Lined Leggings (Burgundy, 9.5” XS), She’s Iconic Hoodie (Grey, S), and Swift Moves Sneakers (Grey). Mixing leggings with a casual plaid jacket is right on trend for athleisure. 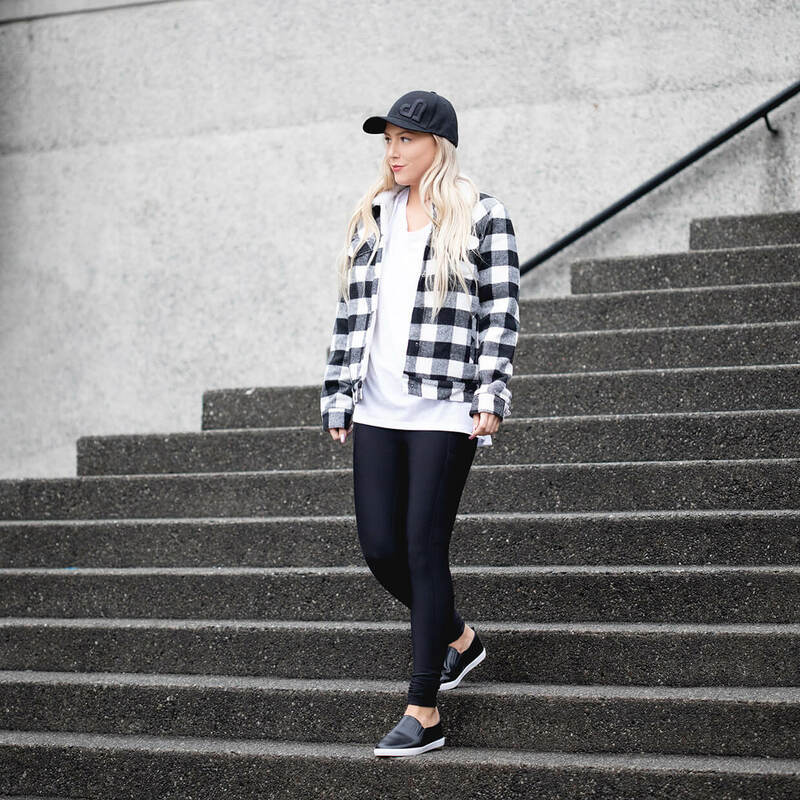 Get the Look: Lauren is wearing the Altitude Fleece Lined Leggings (Black, 9.5” XS), Outback Plaid Jacket (Black and White Plaid, S), Beach Vibes Tee (White, S), One Step Ahead Sneakers (Black), Icing on Top Baseball Cap (Black on Black). Athleisure is so easy to wear and creates the perfect cozy casual look. 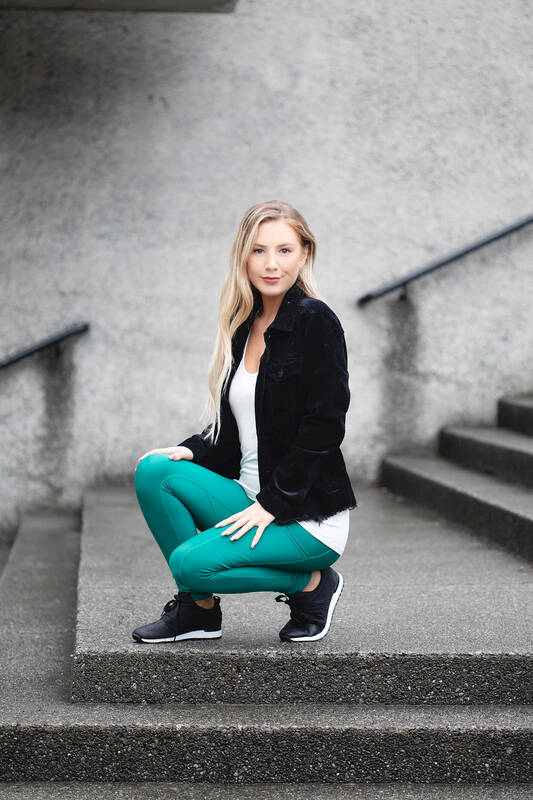 Get the Look: Lauren is wearing the Altitude Fleece Lined Leggings (Clover Green), 9.5″ XS), Come Back Corduroy Jacket (Black, S), Sparrow Tank (White, S), Out of this World Glitter Sneakers (Black). Sport athletic-inspired leggings with your casual corduroy jacket to take your look to the next level. These outfits are really perfect for anyone with a busy lifestyle who wants to look cute, but still be comfortable. Athleisure can really become your off-duty uniform. It’s become acceptable to wear athleisure looks in the majority of casual settings. Get the Look: Julia is wearing the Altitude Fleece Lined Leggings (Eggplant, 9.5” XS), Knotty But Nice Top (Grey and White Stripes, M), Swift Moves Sneakers (Grey). You can really create quite simple, but stylish outfits. For looks that go beyond the gym, try putting together an athleisure look. We’ve styled our Athleisure looks with the Altitude Fleece Lined Leggings.